From backroom bods to the Hollywood Bowl, from tiny specialist shops to a million-selling album, from using more singers than a Broadway musical and trucking on regardless, Zero 7’s story has always been about thinking that little bigger. With four studio albums, various compilations, world tours, and Mercury Prize and Grammy nominations, Zero 7 created the kind of buzz that most major label bands could only dream of. We had the pleasure of hosting Sam Hardaker of the iconic British duo Zero 7 for his first shows in India! 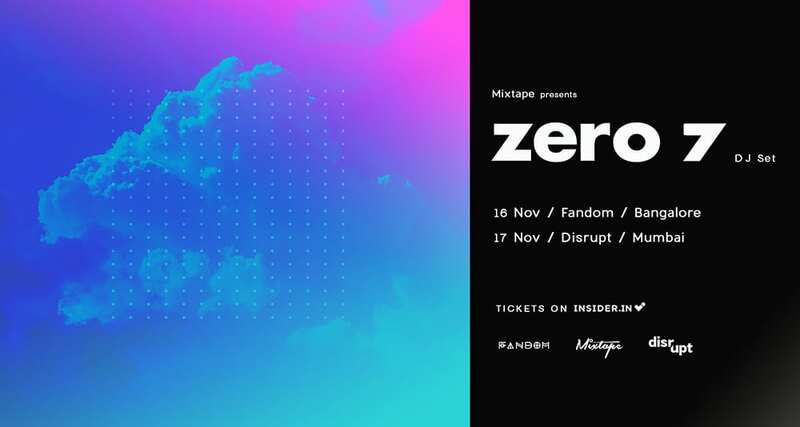 A rare appearance by the act, Zero 7 headlined Disrupt on the 17th November after his club show in Bangalore on the 16th with homeboy Stalvart John at Fandom at Gilly’s Redefined.